22 Nov Sharing the gift of giving this festive season! Christmas Trees to share the gift of giving for 2018 festive season. Gladstone Regional Council Mayor Matt Burnett is calling on the community to help bring festive cheer to those in need this Christmas. The Mayor’s Giving Tree, is located in front of Big W at Stockland Gladstone, and was officially opened last Wednesday. Stockland Gladstone has supported the Gladstone branch of the Salvation Army for over 20 years by collecting gifts via the Mayor’s Giving Tree. The Mayor’s Giving Tree is a combined initiative between Stockland Gladstone and the Salvation Army, which aims to support children, adults, seniors and families who are unable to afford gifts at Christmas and beyond. Councillor Burnett said he was proud to be part of initiatives like The Mayor’s Giving Tree. “Christmas is an amazing time of the year, but for those families in need, it can sometimes be quite daunting. I encourage all members of the community to embrace the Christmas spirit and help make these families Christmas’ a little brighter, a small donation may mean more than you know” Cr Burnett explained. Attendees at the opening of the Mayor’s Giving Tree were treated to a performance from the Trinity College Choir. 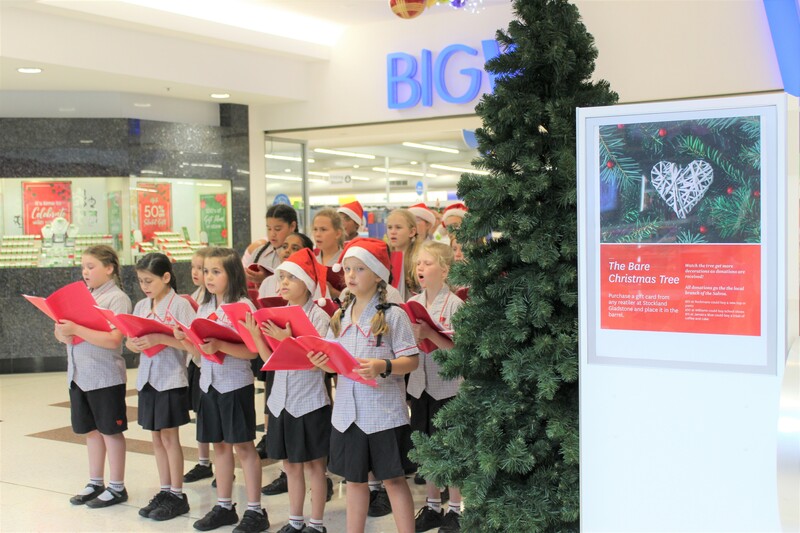 Marketing Manager of Stockland Gladstone, Joanne Lewis said this year Stockland had also consulted with the Salvation Army to launch ‘The Bare Christmas Tree” campaign. “Shoppers are invited to purchase store gift cards and place them in a barrel outside Big W,” Joanne said. “Gift cards are better suited as gifts for teenagers and adults. The bare tree is a visual reminder that Christmas is not always a beautiful time for some in our community.” The bare Christmas Tree starts out with no decorations, as the gift cards are received, the Centre Management team will start to decorate the tree.